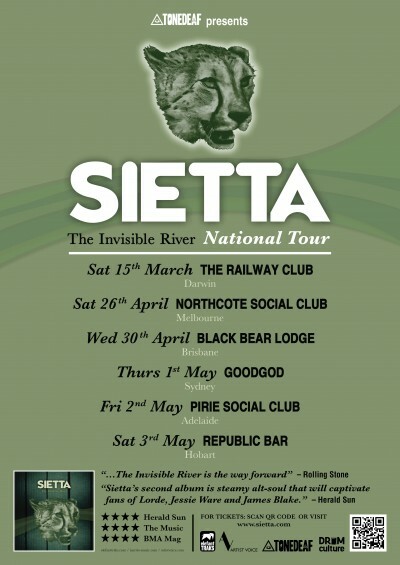 Those Sietta kids are playing in Melbourne again soon to support their second album, The Invisible River. They are currently shooting their second video clip to follow on from the first single from the album, Let It Go. Get yo’ butts down to Northcote Social Club on Saturday April 26th for some sweet grooves and a fun time. Ah damn, I just realised I will still be on my sobriety kick then; no beers for me! ~ by Kitten of Doom on April 7, 2014.